Based on the report and recommendation of the Committee on Education, Culture and Historical Research. Section 17, Article II of the 1987 Constitution of the Republic of the Philippines provides that the state shall give priority to education, science and technology, arts, culture, and sports to foster patriotism and nationalism, accelerate social progress, and promote total human liberation and development. Section 1, Article XIV of the 1987 Constitution of the Republic of the Philippines provides that the state shall protect and promote the right of all citizens to quality education at all levels and shall take appropriate steps to make such education accessible to all. Section 2 par. (1) of Article XIV of the Constitution states that it is the duty of the state to establish, maintain, and support a complete, adequate, and integrated system of education relevant to the needs of the people and society. Title I, Chapter 2, Section 16 of the Local Government Code of 1991 provides that every local government unit shall exercise the powers expressly granted for its efficient and effective governance and those which essential to the promotion of the general welfare. Pursuant to Department of Education’s (Dep-Ed) Department Order 74, s. 2010, entitled: “Guidelines on Mainstreaming the Dropout Reduction Program (DORP) in the Public Secondary Schools”, the policy was embraced by Dep-Ed, Division of Baguio City, as embodied in the Division Memorandum No. 95, Series of 2017 entitled: “Division Education Development Plan (DEDP) For CY 2016-2019”. However, “truants” or students are being seen loitering in public places and entering internet cafes, business establishments and playing video/computer games and billiards during school hours resulting into dropouts. Further, some students are intermittently found to be involved in prohibited activities during school hours that they are supposed to be in school attending their classes. Because of truancy, some students also became victims of street crimes. It is high time for the City of Baguio, being the center of education in the North Luzon, to pass a measure supporting the noble plan of Dep-Ed, Division of Baguio City, so that the best interests of children in the school will be protected. SECTION 1. 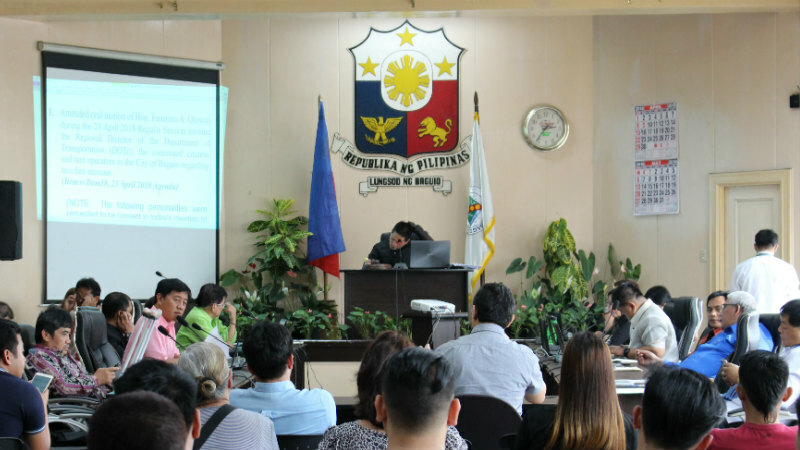 TITLE – This Ordinance shall be known as “ANTI-TRUANCY ORDINANCE IN THE CITY OF BAGUIO”. (e) Impose sanctions for truants, commercial establishments, parents, school administrators and teachers who violate the provisions of this ordinance. (k) “EMERGENCY” means an unforeseen combination of circumstances or the resulting state that calls for immediate action to prevent serious bodily injury or loss of life. (e) As for operator of business or amusement establishment who knowingly permit, or by insufficient control, allow the student to loiter, linger, or to stay in any business establishment or place within the city during school hours, it shall be governed by Ordinance Numbered 015, Series of 2000 [REGULATING THE OPERATIONS OF AMUSEMENT CENTERS IN THE CITY OF BAGUIO]. (e) When the student is accompanied by his/her parent or guardian or teacher or any school authority. 8. Other stakeholders and NGO’s to be identified by the Chairperson of the Board. 7. Constantly remind the operators of business or amusement establishment anent the Ordinance Numbered 015, Series of 2000. For the 2nd Offense and Subsequent Offenses – Join appropriate intervention programs by the City Social Welfare and Development Office. For Subsequent Offenses – a fine of P3,000.00 and/or be required to render community service for 1 (one) day at the discretion of the court. For Subsequent Offenses – a fine of P 3,000.00 without prejudice to any administrative case. (d) For operators of business establishment, the penalties provided under Ordinance Numbered 015 Series of 2000, [as amended], shall govern. The City Legal Officer shall assist the Anti-Truancy Board in reviewing reports of and complaints for violations of this ordinance and in determining liability or appropriate cases to file. Further, the City Legal Officer shall also extend any legal assistance and/or file cases on matters pertaining to this ordinance. SECTION 9. FUNDING – The amount of P100,000.00 is hereby allocated from the General Fund of the City Government of Baguio for the initial funding to defray the expenses necessary for or incidental to the implementation of this ordinance. (e) Other expenses associated with the implementation and enforcement of this ordinance. SECTION 10. FORMULATION OF IMPLEMENTING RULES AND REGULATIONS – The formulation of implementing rules and regulations for better implementation of this ordinance shall be directed by the Local Chief Executive with the approval of the Sangguniang Panlungsod (City Council). SECTION 11. SEPARABILITY CLAUSE – If any provision or section of this Ordinance, or the application thereof to any person or circumstance is held invalid, the other provisions or sections of this Ordinance and the application of such circumstance shall not be affected thereby. SECTION 12. REPEALING CLAUSE – All prior Ordinances, Executive Orders, Administrative Orders, Rules and Regulations, or part/s thereof that are inconsistent with the provisions of this Ordinance are hereby repealed or modified accordingly. SECTION 13. EFFECTIVITY CLAUSE – This Ordinance shall take effect in accordance with the Local Government Code of 1991, as amended. “Article XI. Stopping, Parking and Towing of Vehicles. “Section 11. Towing of Vehicles. To tow away, pull or take other appropriate action against any or all vehicles which are abandoned along public roads, streets or alleys, including vehicles parked thereat for servicing, check-up or other mechanical test or repairs, except in emergency cases, where said vehicles impede the flow of traffic, cause traffic hazards or constitute a nuisance”. The need for a clear supporting guidelines and policies for this purpose which passage would support and enhance improvement of the city’s traffic concerns. NOW, THEREFORE, on motion of Hon. Bomogao, Hon. Olowan, and Hon. Lawana, seconded by Hon. Yangot, Hon. Alangsab, Hon. Allad-iw, Hon. Fariñas and Hon. Ortega VI. SECTION 1. TITLE – This ordinance shall be known as TOWING ORDINANCE OF THE CITY OF BAGUIO. SECTION 2. PURPOSE – The purpose of this ordinance is to provide for a regulated towing system of damaged, abandoned, immobilized, illegally parked, or disabled motor vehicles on public right-of-way or on public or private property within the City streets/roads. 3a. MOTOR VEHICLE – as defined in the TRANSPORTATION AND TRAFFIC ORDINANCE means, any vehicle designed to be self-propelled, and includes any vehicle designed to be propelled, and includes any vehicle designed to be propelled by electric power obtained from overhead wires but not operated upon rails. 32. PERSON – an individual, firm, partnership, association, employee, corporation, company, or organization of any kind. 3c. TOWING VEHICLE – a vehicle designed and used for removing and transporting motor vehicles. This term shall also include a rollback truck, tow truck, or other vehicles commonly used to perform towing services. 3d. CITY TOWING TASK FORCE – the task force that is responsible for towing in the absence of a private towing company. 3e. STORAGE FACILITY – any enclosed or open area used or intended to be used as impoundment of vehicles removed by authorized agency in violation of the Ordinance. 4a. On public property – Any vehicle parked on any of the highways, roads or streets, public right-of-way or other public property in the City, which is parked in violation of any provision of the law or of any Ordinance of the City may be removed under the provisions of this Ordinance. The Chief of Police, Chief of Traffic Management Unit, Department of Public Works and Highways, City Engineer, or City Parking Management Office are authorized to remove any vehicle. Removal shall be done only by the City Towing Task Force of the City or by a licensed towing company, if there is any. Any vehicle removed shall be impounded in a storage facility, as herein defined, or on property controlled by the City and designated for vehicle impounding by the City. 4b.On private property – Any motor vehicle left unattended on private property within the City may be removed under the provisions of this Regulation. The decision to remove any such motor vehicle shall be made by either the property owner or the City after informing the owner. But in cases where the owner cannot be reached, yet it is a hindrance to public access can be outrightly towed. Any motor vehicle removed by authority of this ordinance shall be impounded in a storage facility, as herein defined. SECTION 5. IMPLEMENTING BODY – The City Engineering Office shall primarily be responsible for the implementation of this Ordinance. SECTION 6. TOWING LICENSE. Any person or company may be authorized by the City to undertake the business of towing. 6a. ANNUAL LICENSE REQUIRED. Towing License is required for any towing company engaged in the business of towing vehicles in the City of Baguio. 6b. APPLICATION FOR LICENSE. Applications for towing license shall be submitted to the Chief Executive upon forms prepared and made available by the City. 6c. ISSUANCE OF LICENSE. A towing license shall be issued only to towing companies that comply with the provisions of this ordinance. 6d. LICENSE FEE. The license fee under this Ordinance shall be Two Hundred Fifty Thousand Pesos (250,000.00). 6e. LICENSE RENEWAL. All licenses, except those terminated for just cause as provided herein, are subject to an annual renewal fee of Twenty Thousand Pesos (20,000.00). 7a6. Other requirements as may be determined by the local chief executive. 7b9. Signboard to be installed at the rear of towed vehicle indicating that it is being towed. 7b11. Towing services must operate on a 24-hour basis. 7c1. Wear identification cards of their company/office, prescribed uniforms, shoes and have short hair-cuts. 7c2. Exercise utmost courtesy and observe proper decorum in dealing with the public/motorists. 7c3. Must submit the performance record of the company to ensure that it has sufficient skills to provide towing services. 7c4. Must submit a surety bond for each tow truck requested for accreditation to answer for any loss or damage incurred in towing vehicles. Towing company/agency shall be required to post a surety bond of P50,000.00 per tow truck. 7c5. Must pay annual accreditation fees to the LGU concerned. Accredited towing company/agency shall be required to pay P5,000.00 annual accreditation fee for the first two (2) tow trucks and P2,000 for every additional unit in excess of two (2). 7c6. Must submit all necessary documents pertinent to the ownership of the company and its towing equipment. 7c7. Accredited tow trucks must have standard colors. For City Towing tow trucks, the standard color shall be white bearing the seal of the City. 8a. Shall be located within the City of Baguio or nearby municipalities but in no case exceed ten (10) kilometers away from the City proper. 8b. The storage facility shall be owned or leased by the towing company owner. 8c. The storage facility shall comply with zoning regulations applicable in the jurisdiction where the facility is located. 8d. The storage facility shall be, at a minimum, enclosed by a secured fence or building. When enclosed by a fence, the fence shall be a minimum of 6 feet in height and made of a sturdy material such as a chain link, wooden slats, or other approved material. All gates shall be secured with locks or other security mechanisms to reasonably prevent entry by unauthorized persons. It shall be at least one hundred fifty (150) meters away from any gasoline station, gas riffing station or any flammable storage of an establishment. 8e. The towing company owner is responsible for the security of the stored vehicles. 8f. The towing company owner shall establish a system convenient to the vehicle owner to provide for release of towed vehicles from the storage facility 24 hours a day, daily. 8g. Release of towed vehicles under the private towing license or by the city shall be released immediately. 8h. Release of personal property from a towed vehicle that is not attached to the vehicle shall be made immediately upon request. . SECTION 9. GENERAL REQUIREMENTS FOR LICENSE – No license shall be issued until it has passed the requirements provided by this Ordinance. The City Engineering Office and City Legal Office shall issue the certification of compliance only after conducting an ocular inspection and mandatory compliance with all the requirements provided by this Ordinance. SECTION 10. PAYMENT OF TAXES. PROPERTY, BUSINESS PRIVILEGE, CITY TAXES AND FEES – No company shall receive a license or license renewal if the company has not paid its property taxes and/ or business privilege and mercantile Taxes or any other fee as required under City Ordinance. SECTION 11. RESPONSIBILITY AND LIABILITY OF VEHICLE OWNER – The person who owns an abandoned vehicle or parts shall be liable for all the costs incidental to the removal, storage and disposal of the vehicle or the parts under this Ordinance. 12a. All vehicles removed, transported or conveyed, shall be stored at the towing company’s storage facility or at property owned or controlled by the City. 12b. Any vehicle remaining at the storage facility for more than 90 days may be removed and disposed in accordance with disposal procedures by the General Services Office. 12.c Towing companies and or in the absence thereof, the City Towing shall be available to tow vehicles 24 hours-a-day, 7 days a week. 12d. All licensed towing companies shall be required to notify the Chief of Police within 24 hours of any modifications to information provided in the tower’s license application. 13b. Falsify any information with regard to the application. 13c. Remove a motor vehicle without using a wrecker or towing equipment. SECTION 15. NOTIFICATION OF REMOVAL OF VEHICLE TO THE IMPOUNDING/STORAGE AREA – The owner shall be responsible for retrieving his vehicle without need of notification. SECTION 16. PERISHABLE GOODS LEFT AT THE VEHICLES – The city or towing companies has no obligation in reimbursing the owner of any damaged goods found in his vehicle. 17c. Date and Time before towing the vehicle. 17d. Date, Time and Picture of the vehicle after it arrives at the impounding area. 17e. Date, Time and Picture showing that the vehicle was released to the owner/custodian. 17f. Towing and storage charges for each towed vehicle as indicated in the logbook. SECTION 18. REPORTING OF TOWED VEHICLE – The towing of a motor vehicle shall be reported immediately to the Traffic Management Unit of the Baguio City Police Office. No towing shall be done without the assistance or presence of a police officer who shall write his name and signature in the towing information. Towing without the presence of a police officer or duly deputized enforcer shall be considered car napping. SECTION 20. EFFECT OF PAYMENT OF TOWING AND STORAGE CHARGES WITHOUT PROTEST – The payments of any towing and storage charges, authorized by this Ordinance shall, unless made “under protest,” be final and conclusive and shall constitute a waiver of any right to recover the fees paid. SECTION 21. RECORD OF VEHICLES REMOVED/IMPOUNDED – The City Engineering Office or designee shall keep a record of all illegally parked and/or immobilized vehicles impounded and shall be able at all reasonable times to furnish the owners/custodians with information as to the location of the storage facility where such vehicles are impounded. SECTION 22. OWNER/OPERATOR LIABLE FOR FINE/PENALTY – The payment of towing and storage charges authorized by this ordinance shall not operate to relieve the owner or operator of any vehicle from liability for any fine or penalty for violation of any law or ordinance on account of which such vehicle was removed and impounded. SECTION 23. TERMINATION OF LICENSE – Any towing company or its employee who violates any provision of this Ordinance shall be issued a written warning for the first violation during any calendar year. Any subsequent violation during the same year may cause the termination of the towing company’s license. In all cases, P200.00 shall be charged per kilometer on top of the base fee measured from place of towing to the impounding area. Any driver who shall illegally park his motor vehicle on any public road, street or thoroughfare in the City of Baguio shall pay a fine as indicated under the Parking Ordinance. In addition, a standard towing fee shall be collected by both government and private entities subject to the following rates stated above. Provided that, Section 7 of this Ordinance shall all be complied with. 25a. Unattended illegally parked vehicle shall be towed and issued a Ticket Violation Receipt immediately upon arrival at the impounding area. 25b. Flat-tired vehicle must be moved to the emergency lane on its own, if not, it will be towed. 25c. Stalled or illegally parked vehicle as a result of empty fuel tank, may be towed to the nearest gasoline station, however, the towing fee should be paid to the tow truck in accordance with the number of kilometers from the point of origin to the gasoline station and a Ticket Violation Receipt shall be issued to the driver. 25d. Stalled or illegally parked vehicle as a result of engine trouble shall be towed in cases where the driver deliberately refuses to remove his vehicle or cannot move his vehicle due to the absence of equipment, etc. or to circumstances beyond his control, and a Ticket Violation Receipt shall be issued to the driver. 25e. Illegally parked vehicles that are already clamped shall not be subject for intercession by the owner of the vehicle. 25f5. Designated impounding area or location where the stalled/illegally parked vehicle will be brought. 25f6. If the subject vehicle for towing is in the watch list of car napped vehicle, then it will be reported to the proper authorities. 25f7. Upon receipt of such instructions, the towing crew shall engage the tow-hook to the stalled or illegally parked vehicle. 25f8. Before actual towing and the owner of the vehicle is around, the crew may call the police to issue the Citation Ticket. 25f8a. Should the vehicle owner refuse to accept the notice, then the notice shall be disregarded and the apprehending officer will request for the immediate towing of the vehicle. 25f8b. In case the owner is willing to pay the penalties upon issuing the citation ticket, then the vehicle may not be towed but immediately advice the owner to remove his vehicle. SECTION 26. LIABILITY – In cases of disagreement of both parties on damages and violations of national laws and ordinances, the court shall determine the liability and responsibility of each party found liable thereof. SECTION 27. SEPARABILITY CLAUSE – If any provision or section of this Ordinance, or the application thereof to any person or circumstance is held invalid, the other provisions or sections of this Ordinance and the application of such circumstance shall not be affected thereby. SECTION 28. REPEALING CLAUSE – All prior Ordinances, Executive Orders, Administrative Orders, Rules and Regulations, or part/s thereof that are inconsistent with the provisions of this Ordinance are hereby repealed or modified accordingly. SECTION 29. EFFECTIVITY CLAUSE – This Ordinance shall take effect in accordance with the Local Government Code of 1991, as amended. of the Committee on Laws, Human Rights and Justice. DISALLOWING THE GRANT OF EXEMPTION OR OUTRIGHTLY DENYING APPLICATIONS FOR EXCEPTION, VARIANCE, OR NON CONFORMING USE OF COMMERCIAL AND INSTITUTIONAL BUILDINGS RELATIVE TO THE PARKING LOT REQUIREMENT WITHIN THE CENTRAL BUSINESS DISTRICT AREA IN THE CITY OF BAGUIO, AND SETTING THE GUIDELINES FOR THE IMPLEMENTATION OF ARTICLE VIII OF CITY ORDINANCE NUMBERED 63, SERIES OF 2016. Vehicular traffic is one monstrous challenge the city is experiencing more often as the mobility of people increases inversely to the shrinking space the city can offer. The exercise of political will must primarily regard the general welfare and interest of the people and the granting of certain privileges must be exercised with cerebral and patriotic prudence so as not to render certain policies ineffective or partial. Section 24, Article VIII, Ordinance Numbered 63, series of 2016, [ADOPTING THE REVISED COMPREHENSIVE ZONING REGULATIONS FOR THE CITY OF BAGUIO, OTHERWISE KNOWN AS “THE COMPREHENSIVE ZONING ORDINANCE FOR THE CITY OF BAGUIO”, AND PROVIDING FOR THE ADMINISTRATION, ENFORCEMENT AND AMENDMENT THEREOF, AND FOR THE REPEAL OF ALL ORDINANCES IN CONFLICT THEREWITH. ], provides for the granting of exceptions, variances or deviations as may be allowed by the Local Zoning Board of Adjustment and Appeals (LZBAA). SECTION 1. TITLE – This ordinance shall be known as AN ORDINANCE DISALLOWING THE GRANT OF EXEMPTION OR OUTRIGHTLY DENIES APPLICATIONS FOR EXCEPTION, VARIANCE OR NON CONFORMING USE OF COMMERCIAL AND INSTITUTIONAL BUILDINGS RELATIVE TO THE PARKING LOT REQUIREMENT WITHIN THE CENTRAL BUISINESS DISTRICT AREA IN THE CITY OF BAGUIO, AND SETTING THE GUIDELINES FOR THE IMPLEMENTATION OF ARTICLE VIII OF ORDINANCE NUMBERED 63, SERIES OF 2016. SECTION 3. COMPLIANCE – Existing commercial or institutional buildings within the areas specified in Section 2 hereof, using their parking lots as commercial spaces or other purposes shall be given six (6) months to revert their spaces into the original use as parking spaces for tenants and clients as per Building Permit issued by the City Buildings and Architecture Office (CBAO). Compliance Hereof shall be monitored by CBAO. Likewise, commercial buildings without the necessary number of parking lots shall be required to comply in accordance with the zoning ordinance of Baguio, within one (1) year upon receipt of notice. SECTION 4. INVENTORY – The City Planning and Development Officer or the Zoning Officer, upon approval hereof, shall submit to the Office of the City Mayor and the Sangguniang Panlungsod an inventory of buildings granted exceptions by the LZBAA, deviations or currently non-conforming with the Zoning Ordinance relative to parking for appropriate action in accordance with this Ordinance. SECTION 5. INFORMATION DRIVE – Within three (3) months upon approval of this Ordinance, CBAO in coordination with the Zoning Officer shall ensure that all property owners within the Baguio Central Business District are duly informed of the provisions of this Ordinance. SECTION 6. PENALTY – No business permit, occupancy permit or other related permits and clearances shall be issued to any commercial or institutional establishment for any violation of this Ordinance, in addition to fines and penalties provided for by law. SECTION 7. LIABILITY – Government officers or employees responsible for the approval of any grant for exception or variance contrary hereof, shall be held liable and be dealt with accordingly and in accordance with law. SECTION 8. SEPARABILITY CLAUSE – If any provision or section of this Ordinance, or the application thereof to any person or circumstance is held invalid, the other provisions or sections of this Ordinance and the application of such circumstance shall not be affected thereby. SECTION 9. REPEALING CLAUSE – All prior Ordinances, Executive Orders, Administrative Orders, Rules and Regulations, or part/s thereof that are inconsistent with the provisions of this Ordinance are hereby repealed or modified accordingly. SECTION 10. EFFECTIVITY CLAUSE – This Ordinance shall take effect in accordance with the Local Government Code of 1991, as amended. and Safety, Peace and Order. REQUIRING THE OWNERS/OPERATORS OF HOTELS, MALLS, SUPERMARKETS, AMUSEMENT CENTERS, TOURIST SPOTS, AND OTHER ESTABLISHMENTS/AREAS WHERE THE PUBLIC CONVERGE TO ADOPT TIGHTER SECURITY MEASURES THROUGH THE INSTALLATION OF CLOSED-CIRCUIT TELEVISIONS, USE OF METAL DETECTORS, AND THE LIKE TO ENSURE PUBLIC SAFETY AND PROVIDING PENALTIES IN VIOLATION THEREOF. Incidences of violence in public places are becoming more and more common. It seems that every day shooting or terrorist attack hits the news. Places involved in these crimes involve malls, supermarkets, and other public places. Section 16 of Republic Act No. 7160 or the Local Government Code of 1991 provides that “every local government unit shall exercise the powers expressly granted, those necessarily implied therefrom, as well as powers necessary, appropriate, or incidental for its efficient and effective governance, and those which are essential to the promotion of the general welfare.” It further states that it shall also promote safety and maintain peace and order, and preserve the comfort and convenience of its inhabitants. The City Government of Baguio in its desire to ensure the safety not only of tourists but of all constituents of the City of Baguio should then require owners/operators or persons-in-charge of establishments or areas where public converge to adopt tighter security measures through the installation of Closed-Circuit Televisions (CCTVs), use of metal detectors, and the like. Maintenance of peace and order and the prevention of crime is of primordial consideration thus this ordinance. NOW, THEREFORE, on motion of Hon. Ortega VI, Hon. Olowan and Hon. Fianza, seconded by Hon. Yangot, Hon. Allad-iw, Hon. Alangsab, Hon. Sembrano, Hon. Avila, and Hon. Fariñas. SECTION 1. TITLE – This Ordinance shall also be known as PUBLIC SAFETY ORDINANCE OF THE CITY OF BAGUIO. SECTION 2. POLICY – It is hereby declared a policy in the City of Baguio to ensure public safety by requiring owners/operators of hotels, malls, supermarkets, amusement centers, tourist spots, nightspots, and other establishments/areas where the public converge to adopt tighter security measures through the installation of Closed-Circuit Televisions, use of metal detectors, and the like. (a) Closed-Circuit Television or CCTVs – also known as video surveillance is the use of video cameras to transmit a signal to a specific place, on a limited set of monitors. (b) Establishment or Facility – refer to a building, structure or area where security measures should be adopted to ensure the safety of individuals or persons within the structure. (c) Metal Detector – an electronic instrument that detects the presence of metal. It is useful for finding metal inclusions hidden within objects like bags, luggage, etc. Another common type are stationary “walk through” metal detectors used for security screening at access points in malls, prisons, and airports to detect concealed metal weapons on a person’s body. 1. Issue photo identification badges to all employees and require that badge be displayed at all times. 2. Issue special identification badges to contractors, cleaning crews, vendors, and temporary employees. 3. Require sign-in/sign-out for visitors and issue special identification badges to visitors. 4. Review vehicle traffic patterns inside the building parking areas. 5. Keep vehicles distant from sensitive or critical areas. 6. Approach all illegally parked vehicles and require that they be moved or have them towed. 7. Provide adequate door and window locks and other access controls to areas where access is to be limited. 8. Add intrusion detection systems and alarms. 9. Train mailroom and receiving personnel to recognize suspicious mail, packages, shipments, or deliveries. 1. Install system(s) that provide communication with all people at the facility, including building management and tenant employees. 2. Develop a notification protocol that outlines who should be contacted in times of emergencies, including both building management and tenants. 3. Develop a process for communicating to building management, employees, and tenants the current security situation. 1. Develop and implement a security plan for computer and information systems. 2. Design and implement a secured computer network architecture. 3. Regularly review the facility’s web site to ensure that no sensitive information is provided. 1. Ensure that an adequate number of building management emergency response personnel are on duty and/or on call at all times. 2. Provide training and equipment to building management emergency response personnel to enable them to deal with terrorist-related incidents. 1. Install video surveillance equipment (e.g. CCTV, lighting). 2. Install detector and alarm systems. 3. Continuously monitor all people entering and leaving the facility. 4. Continuously monitor all vehicles approaching the facility for signs of threatening behavior. 1. Conduct background checks on all employees. 2. Incorporate security into employee training programs conducted for building management and tenants. 3. Maintain an adequately sized, equipped, and trained security force. 1. Conduct threat analyses, vulnerability assessments, consequence analyses, risk assessments, and security audits. 2. Develop a comprehensive security plan and emergency response plan for the facility. 3. Conduct regular exercises with facility employees, including building management and tenants. 4. Establish procedures for building evacuation and for shelter-in-place situations. (h) Report Suspicious Activity – Management or staff of a facility should immediately report to the nearest station of the Baguio City Police Office if suspicious activity is observed or if abandoned boxes, bags, etc. are found within the premises. SECTION 5. ON PRIVACY AND ELECTRONIC SURVEILLANCE – The usage of CCTVs as a recording device shall be in compliance with the provisions of Republic Act No. 10173 or the Data Privacy Act of 2012, assuring that the data subject/s need to consent before the recording and release of information unless there is legal obligation that required for it to be kept or processed. Provided that: Proper procedure was followed, data obtained through a CCTV shall be admissible in court. 3rd Offense: Five thousand pesos (₱5,000.00) and cancellation of permits. SECTION 7. REQUIREMENT PRIOR TO THE ISSUANCE OF PERMITS – No establishment such as hotels, malls, supermarkets, amusement centers, tourist spots, and other establishments/areas where the public converge shall be allowed to apply or renew permits from the City Government of Baguio without presenting its existing security measures or frameworks to the City Buildings and Architecture Office. The City Buildings and Architecture Office shall issue the necessary certificates or clearances in relation to the Ordinance. SECTION 8. IMPLEMENTING OFFICES – The City Buildings and Architecture Office (CBAO) in coordination with the Baguio City Police Office (BCPO), the Public Order and Safety Division (POSD) under the City Mayor’s Office, and the Permits and Licensing Division under the City Mayor’s Office shall ensure the implementation or enforcement of this Ordinance. SECTION 9. MONITORING – The CBAO in coordination with the BCPO and the POSD shall be tasked to conduct regular ocular inspections from the approval of this Ordinance to ensure that owners/operators of the above-mentioned types of establishments/areas have complied with the requirements of the Ordinance. SECTION 10. TRAINING – Should owners/operators or persons-in-charge desire trainings pertaining to the security measures or frameworks as provided in this Ordinance, the BCPO and the POSD shall provide the necessary trainings to the establishment’s personnel or security force. SECTION 11. IMPLEMENTING RULES AND REGULATIONS – The CBAO in coordination with the BCPO and the POSD shall prepare the Implementing Rules and Regulations for this Ordinance and submit such to the City Mayor and to the office of the Sangguniang Panlungsod for approval. SECTION 12. INFORMATION AND EDUCATION – The Public Information Office under the City Mayor and the Public Information Officer of the Sangguniang Panlungsod ng Baguio shall ensure the widest information and education to inform all owners/operators or persons-in-charge of such establishments as well as the general public about the provisions of this ordinance. SECTION 13. SEPARABILITY CLAUSE – If any provision or section of this Ordinance, or the application thereof to any person or circumstance is held invalid, the other provisions or sections of this Ordinance and the application of such circumstance shall not be affected thereby. SECTION 14. REPEALING CLAUSE – All prior Ordinances, Executive Orders, Administrative Orders, Rules and Regulations, or part/s thereof that are inconsistent with the provisions of this Ordinance are hereby repealed or modified accordingly. SECTION 15. EFFECTIVITY CLAUSE – This Ordinance shall take effect in accordance with the Local Government Code of 1991, as amended. AN ORDINANCE ENTITLED “REGULATING THE USE AND MAINTENANCE OF SIDEWALKS AND SETBACKS AND FOR OTHER PURPOSES”. Sidewalks should be a fundamental form of infrastructure in all neighborhoods across the city. Sidewalks may exist but some are poorly designed or falling into despair. When surfaces are cracked and uneven, they become tripping hazards and uncomfortable to walk on. Pedestrians especially the disabled are at risk of being sideswiped by vehicles as they try to avoid obstructions along the sidewalk. It is a declared policy of the State to safeguard life, health, property and public welfare, consistent with the principles of environmental management and control; and to this end; make it the purposes of this Ordinance to regulate the use and maintenance of sidewalks and setbacks and to clear the same of illegal commercial and private structures, in order to facilitate the safe and convenient use thereof, pursuant to Book I, Chapter 2, Section 16 and Chapter 3, Article 1, Section 455, paragraphs (b) (3) (V1) of the Local Government Code. SECTION 1. This Ordinance shall be known as the Sidewalk Ordinance of 2018. SECTION 2. t shall be the responsibility of the owner and/or dweller, lessee, occupant of a residential or commercial establishment to regulate the use and maintenance of the sidewalk, curb and gutters, and canals fronting their residence or establishments. a. Sidewalk means that portion of a roadway assigned for the use by pedestrians, which must be free from all forms of physical obstructions for anything found on it, whether of value or not. b. Setback is the horizontal distance, measured from the outmost face of the building/structure to the property lines, that must be absolutely free from all forms of physical obstructions, that can negatively affect natural light and ventilation, or that can impede access to the sides and near area. c. Curb and Gutter means any physical structure that segregates the road from the sidewalks and its accompanying structure, where water flows toward a canal and for purposes of this Ordinance, shall form part of the sidewalk. d. Sidewalk Obstruction means any structure, whether permanent or temporary, immovable or movable, erected along, standing on, adjoining, or in any manner impeding safe and convenient passage through any sidewalk; the conduct of business by sidewalk vendors; and any belonging or thing found therein, which shall be deemed nuisance per se and treated as trash, subject to summary abatement and/or disposal, as provided for under this Ordinance. Provided, that property of the government, including official road signs and structures erected and installed, for the purpose of regulating the flow of traffic, shall not be considered as such. e. Damaged Sidewalk means a sidewalk where the vertical or horizontal line or grade is altered or displaced to the extent that a safety hazard exists, or the side in such a condition as to endanger property or people using the sidewalk in a condition as to interfere with the public convenience in the use thereof. SECTION 4. Regulation of Sidewalks, setbacks and other similar public spaces. activities, conducted along sidewalks are hereby declared nuisance per se and illegal, subject to summary abatement. Likewise, all sidewalk obstructions, including belongings and things found therein, whether of value or not, shall be presumed or treated as trash, subject to forfeiture and disposal, without need of judicial proceedings. SECTION 6. Summary abatement, forfeiture and disposal of sidewalk obstructions. The City and its component barangays are hereby authorized to summarily abate, forfeit and dispose any obstruction, found within their respective territorial jurisdiction. arising from the lawful forfeiture and disposal of sidewalk and setback obstructions, as prescribed herein. charged at the expense of the violator of this Ordinance. on any portion of a sidewalk shall maintain the sidewalk in a clean, safe and non-dangerous condition. It shall be likewise, the duty of the above cited persons to repair/restore such sidewalk when damaged because of improvements made on their property and pay the costs and expenses therefor. Further, it shall be the duty of the above cited persons to paint appropriate sidewalk markings (e.g. alternate yellow and black diagonal lines enclosed with yellow lines) especially when their property frontage is used wholly or partially as parking space or as driveway. SECTION 9. Implementing Rules and Regulations. The City Mayor, through the City Engineer’s Office, in consultation with the City Planning Office, shall promulgate the rules and regulations to carry out the provisions of this Ordinance, within sixty (60) days from its effectivity. SECTION 10. If, for any reason or reasons, any part or provision of this Ordinance shall be held to be unconstitutional or valid, the other parts or provisions hereof which are not affected thereby shall continue to be in full force and effect. SECTION 11. This Ordinance shall take effect in accordance with the provisions of the Local Government Code of 1991. AMENDING ORDINANCE NUMBERED 108, SERIES OF 2008 [REGULATING THE USE OF PARKING SPACES AND BLUE LANES FOR THE USE OF PERSONS WITH DISABILITIES (PWDs)]. The City Government of Baguio upholds and adheres the principles of the Constitution and all laws and rules that grant rights and privileges to Differently-abled/Other-abled Persons and, thus, commits to formulate and implement local policies and procedures deemed to reinforce such laws and rules in view of strengthening the efficient and effective application thereof. persons. Such as designating enough exclusive parking spaces intended for their motor vehicles in all commercial establishments, government offices, schools, hospitals or clinics and any other similar institutions found within the territorial jurisdiction of the City of Baguio, providing schemes and penalties for effective implementation, and for other purposes. Persons as stated under Republic Act 7277 otherwise known as “The Magna Carta for Disabled Persons”, Batas Pambansa Bilang 344, otherwise known as the “Accessibility Law” and other related laws. However, to be more sensitive, the word “Differently-abled/ Other-abled persons” instead of “disabled persons” shall be used as these people are not totally disabled. Thus, Differently-abled/Other-abled Persons shall be defined as Persons suffering from restrictions of different abilities, as a result of a physical, mental, physical or sensory impairment, in performing an activity in the manner or within the range considered normal for a human being. Disability shall mean either a physical or mental impairment that substantially limits one or more psychological, physiological or anatomical function of an individual or activities of such individuals; or a record of such impairment; or being regarded as having such impairment. For purposes of this ordinance, a Differently-abled/Otherabled Person must present an identification card issued by the Persons with Disability Affairs Office (PDAO) or the City Social Welfare and Development Office (OCSWDO) or in lieu thereof, a certification issued by any of the aforementioned offices attesting to their condition or impairment. Establishments whose parking space for vehicles consists of 5-10 lanes shall each provide or allot and designate at least one (1) parking lane for Differently-abled/Other-abled Persons and those whose parking space for vehicles consists of more than Ten (10) lanes shall each provide or allot and designate at least two (2) parking lanes for Differently-abled/Other-abled Persons. 3.2 Establishments with multi-storied parking spaces such as malls or other similar large business establishments shall strictly observe and apply the preceding provision hereof in the distribution of parking lanes for Differently-abled/Other-abled Persons per storey or floor. 3.4 That, all public facilities and private commercial establishments whose parking space consists of Ten (10) lanes or lesser are hereby enjoined to do their best to also craft and thus implement internal arrangements which are deemed efficient and effective towards ensuring the provision of exceptional accommodation to Differently-abled/ Other-abled Persons in terms of vehicle parking, whenever necessary or appropriate. 3.5 That all parking spaces and blue lanes as provided herein shall include ramps and/or railings whenever applicable. 3.6 It is hereby understood that government offices as mentioned herein shall include barangay halls of the different barangays in the City of Baguio. Other-abled Persons shall park at exclusively designated parking spaces intended for them, thus, authorized to cite for violation of this Ordinance any person who, after due advice, still willfully insists to park their vehicle thereat. 4.1 As deputy officers, such Philippine National Police (PNP) or any Law Enforcement Agency/Traffic Enforcer/s, Guard/s or Personnel/s Manning the Parking Area on-duty shall maintain a logbook or a record book for violators wherein they shall list down the name of the offender, the plate number of the vehicle the offender was driving at the time of the violation, the appropriate time and day such violation was committed, and some other important narrative facts or data consistent of other imprudent acts that could be possibly recorded in relation to the violation committed. 4.2 Records of violations shall be immediately turned over to the management for formal endorsement, within twenty-four (24) hours from the commission of the offense, to the PWD Affairs Office (PWDAO) if already operational under the City Mayor’s Office and the City Social Welfare and Development Office and the City Treasurer’s Office copy furnished the nearest Land Transportation Office or LTO station within the city, for the appropriate issuance of the corresponding citation ticket and other applicable sanctions whatsoever. Fourth and Subsequent offenses Revocation of Driver’s License by the Land Transportation Office. Section 6. SEPARABILITY CLAUSE. – If, for any reason, any part or provision of this Ordinance shall be held unconstitutional or invalid, the other parts or provisions hereof which are not affected shall continue to be in full force and effect. Section 7. REPEALING CLAUSE. – All Ordinances, Resolutions, and regulations, or part or parts thereof, which are inconsistent with this Ordinance, are hereby repealed and/or modified accordingly. HON. LEANDRO B. YAÑGOT Jr. The Urban Heat Island Effect is the difference in temperature between a city and a rural area that surrounds it. Dark surfaces absorb and radiate heat, raising temperature as much as 6 to 10 degrees Fahrenheit. The result is more than uncomfortable. It has consequences for our health, checkbooks and our environment. In addition, plants actually filter the air. Plants improve air quality by using excess carbon dioxide to produce oxygen. A rooftop garden can add usable leisure space to a property that is attractive to people as well as to wildlife such as butterflies and birds. Section 2. Rules and Regulations. b. Outer walls shall be of reinforced concrete hollow blocks five feet high with one fourth (1/4) inch wire mesh, three (3) feet high over such walls. If the side of the building is fronting a street or open court, the width of which is not less than ten (10) meters, the height of the reinforced concrete or concrete hollow block wall may be reduced to a minimum of four (4) feet without the necessity of providing the wire mesh over said wall. 2. Roof gardens of buildings not in conformity with the above mentioned requirements shall not be allowed, in any case, to be used as refreshment parlor; bar, night club, restaurant, floor or stage show or other public use. The City Mayor shall order the closure of such establishment unless the requirements of this Ordinance are complied with. Section 3. Penalty. The owner of the building or any person who shall violate any provision of this Article shall be punished by a fine of not less than One Thousand Pesos (₱1,000.00) but not more than Five Thousand Pesos (₱5,000.00), or by imprisonment of not less than Thirty (30) days but not more than six (6) months, or both such fine and imprisonment at the discretion of the Court. Section 4. Monitoring and Evaluation. Evaluation of the regulation and long term impact of the use of Urban Roof shall be done by the CBAO and other representatives from the City Government of Baguio. Section 5. Separability Clause. For any reason or reasons, any part or provision of this Ordinance shall be held to be unconstitutional or invalid, the other parts or provisions hereof which are not affected thereby continue to be in full force and effect. Section 6. Repealing Clause. All other ordinances, rule and regulations part or parts thereof which are contrary and inconsistent herewith are hereby repealed or modified accordingly. Section 7. Effectivity. This Ordinance shall take effect in accordance with the provisions of the Local Government Code of 1991. (Sgd.) LEANDRO B. YAÑGOT JR.
Pursuant to Section 6, Rule IV of the NWPC Revised Rules of Procedure on Minimum Wage Fixing, series of 2007, and Section 22 of Wage Order No. RB-CAR-18, the following Rules are hereby issued for guidance and compliance by all concerned in the Cordillera Administrative Region. Section 1. Title. These Rules shall be known as the “The Rules Implementing Wage Order RB-CAR-18”. Section 2. Definition of Terms as used in these Rules. e. Micro Enterprises – refer to enterprises with ten (10) or less employees AND with capitalization of not more than Three Million pesos (Php. 3,000,000.00). i. Wage Distortion – refers to a situation where an increase in prescribed wage rates results in the elimination or severe contraction of intentional quantitative differences in wage or salary rates between and among employees groups in an establishment as to effectively obliterate the distinctions embodied in such wage structure based on the skills, length of service, or other logical basis of differentiation. Covered private sector workers and employees receiving the minimum wage in the Cordillera Administrative Region regardless of their position, designation or status and irrespective of the method their wages are paid are covered by the Wage Order. Not covered are persons employed in the personal service of another, domestic workers by virtue of R.A. 10361, otherwise known as the Batas Kasambahay and workers in the registered Barangay Micro Business Enterprises with Certificate of Authority pursuant to R.A. 9178, otherwise known as “Barangay Micro Business Enterprises (BMBE) Act of 2002”. In the areas of Itogon, Tuba, and Sablan, covered workers shall continue to receive the minimum wage rates provided by the previous Wage Order, comprising of P285 basic rate per day in all industries and 270 basic rate per day for microenterprises. The minimum wage rates prescribed under the Order shall be for the normal working hours, which shall not exceed eight (8) hours work a day. The Second Tier or the Productivity Based Pay shall continue to be implemented following the guidelines provided by Advisory No. 01, series of 2013 and Advisory No. 02, series of 2014 and other board advisories that may be subsequently issued. But nothing can prevail over other industries or companies outside the identified priority industries from having their own initiative or desire to adopt and implement the Second Tier in their workplaces. Section 5. Creditable Productivity Based Pay. For establishments identified as priority industries and already granting Productivity Based Pay or its equivalent to their workers, the same may be credited as compliance to the Second Tier. Merit increases, anniversary increases or wage increases resulting from the regularization or promotion of the employees per company policy or as provided by law are not credited as compliance to the Second Tier. In the case of private educational institutions, the share of workers and employees covered in the increase in tuition fees for School Year 2017-2018 shall be considered as compliance with this Wage Order. Where the share of the workers and employees is less than what is provided herein, the employer shall pay the difference starting school Year 2018-2019. Private educational institutions which shall not increase their tuition fees for the School Year 2017-2018 may defer compliance with the provisions of this Wage Order until School Year 2018-2019. In any case, all private educational institutions shall implement the increase prescribed herein starting School Year 2018-2019. Section 8. Application to Contractors. In the case of contracts for construction projects and for security, janitorial and other similar services, the prescribed increase shall be borne by the principals or clients of the construction/service contractors and the contract shall be deemed amended accordingly. In the event, however, that the principals or clients fail to pay the prescribed increase, the construction/service contractors shall be jointly and severally liable with their principals or clients. a. All workers paid by results, including those who are paid on piecework, takay, pakyaw, or task basis, shall receive not less than the increases prescribed under the Order for normal working hours which shall not exceed eight (8) hours per day, or a proportion thereof, for working less than eight (8) hours. The increases for the workers paid by results shall be computed in accordance with the formula provided hereunder. 3. Existing rate/piece + increase in rate/piece = adjusted rate per piece. Apprentices or learners shall receive not less than Seventy Five Percent (75%) of the new minimum wage prescribed in the Order. All recognized learnership and apprenticeship agreements entered into before the effectivity of the Order shall be amended automatically insofar as their wage clauses are concerned to reflect the adjustment prescribed. All qualified handicapped workers shall receive the full amount of increases pursuant to RA 7277. The minimum wage rates of workers, who by the nature of their work have to travel, shall be those applicable in the domicile or head office of the employer. The minimum wage rates of workers working in branches or agencies of establishments in or outside the Region shall be those applicable in the place where they are stationed. The transfer of personnel from one province or region to another shall not be a valid ground for the reduction of the wage rate being enjoyed by the worker prior to the transfer. Workers transferred to other Regions with higher wage rates shall be entitled to the minimum wage rate applicable therein. Applications for exemption from compliance with the Order shall not be allowed except in cases of establishments adversely affected by calamities such as natural and/or human induced disasters pursuant to NWPC Resolution 01, Series of 2014. 1. The establishment must be located in an area declared by a competent authority as under a state of calamity. 2. The calamity must have occurred within 6 months prior to the effectivity of the Wage Order. However, if based on the assessment by a competent authority, the damage to properties is at least 50% and the period of recovery will exceed 1 year, the 6 month period may be extended to 1 year. 3. Losses suffered by the establishment as a result of the calamity that exceed the insurance coverage should amount to 20% or more of the stockholders’ equity as of the last full accounting period in the case of corporations and cooperatives, total invested capital in the case of partnership and single proprietorships and fund balance/members’ contribution in the case of non-stock non-profit organizations. 4. Where necessary, the Board or its duly-authorized representative shall conduct an ocular inspection of the establishment or engage the services of experts to validate the extent of damages suffered. 1. Proof of notice of filing of the application to the President of the union/contracting party if one is organized in the establishment, or if there is no union, a copy of a circular giving general notice of the filing of the application to all the workers in the establishment. The proof of notice, which may be translated in the vernacular, shall state that the workers’ representative was furnished a copy of the application with all the supporting documents. The notice shall be posted in a conspicuous place in the establishment. d. For properties that are not insured, a statement that the same are not covered by insurance. 3. Copies of insurance policy contracts covering the properties damaged, if any. 4. Adjuster’s report for insured properties. effectivity of the Order stamped received by the appropriate government agency. In case of severe damage to properties caused by the calamity, a certification by the Barangay and pictures of the damaged property/ties may be submitted in lieu of the audited financial statement. 6. Applicant’s certification that a general assembly to explain to its employees its intent to file an application for exemption, has been conducted prior to the filing of the application and an undertaking to conduct another general assembly informing its employees of the decision of the Board on its application. 1. An application, in three (3) legible copies may be filed with the Board by the owner/manager or duly authorized representative of an establishment, in person or by registered mail. The date of mailing shall be deemed as the date of filing. Applications for exemption filed with the DOLE regional, district or provincial offices are considered filed with the appropriate Regional Board in the region. 2. The Board may accept applications for exemption on the basis of the effects of the occurrence of the calamity provided that the applicants shall comply with the documentary requirements provided under Rule III, Section 3, IRR. Any worker or, if unionized, the union in the applicant establishment, may file with the appropriate Board within fifteen (15) days from receipt of the notice of the filing of the application, an opposition to the application for exemption stating the reasons why the same should not be approved, furnishing the applicant a copy thereof. The opposition shall be in three (3) legible copies, under oath and accompanied by pertinent documents, if any. The aggrieved party may file with the Board a motion for reconsideration of the decision on the application for exemption within ten (10) days from its receipt and shall state the particular grounds upon which the motion is based, copy furnished the other party and the DOLE – CAR. No second motion for reconsideration shall be entertained in any case. The decision of the Board shall be final and executory unless appealed to the Commission. 1. Any party aggrieved by the decision of the Board may file an appeal to the Commission, through the Board, in two (2) legible copies, not later than ten (10) days from the date of receipt of the decision. The appeal, with proof of service to the other party, shall be accompanied with a memorandum of appeal which shall state the date appellant received the decision, the grounds relied upon and the arguments in support thereof. 3. Opposition – The appellee may file with the Board his reply or opposition to the appeal within ten (10) days from receipt of the appeal. Failure of the appellee to file his reply or opposition shall be construed as waiver on his part to file the same. 4. Transmittal or records – Within five (5) days upon receipt of the reply or opposition of the appellee or after the expiration of the period to file the same, the entire records of the case which shall be consecutively numbered, shall be transmitted by the Board to the Commission. A full exemption of one (1) year from effectivity of the Order shall be granted to applicants that meet the applicable aforementioned criteria. a. Notify the DOLE Regional Office of the pendency of the application requesting that action on any complaint for non-compliance with the Order be deferred pending resolution of the application by the Board. b. Request the DOLE Regional Office to conduct ocular inspection, if necessary, of establishments applying for exemption to verify number of workers, nature of business and other relevant information. c. Act and decide on the application for exemption with complete documents, as much as practicable, within 45 days from the date of filling. In case of contested application, the Board may conduct conciliation or call hearings thereon. d. Transmit the decision of the Board to the applicant establishment, the workers or president of the union, if any, and the Commission, for their information; and the DOLE Regional Office, for their implementation/enforcement. The Board may create a Special Committee with one representative from each sector to expedite processing of applications for exemption. Where the exemption being sought is for a particular project/branch/division not separately registered and licensed, the consolidated audited financial statements of the establishment shall be used as basis for determining its distressed condition. Section 8. Effect of Disapproved Application. In the event that the application for exemption which has been filed is not granted, covered workers shall be paid the mandated wage increases as provided for under the Order plus an interest of one (1%) percent per month retroactive to the date of effectivity of the Order. Complaints for non-compliance with this Wage Order shall be filed with the Regional Office of the Department of Labor and Employment-Cordillera Administrative Region (DOLE-CAR) having jurisdiction over the workplace and shall be subjected to the mandatory thirty (30) day conciliation and mediation process under the Single Entry Approach (SEnA). However, if settlement fails, the case becomes subject of enforcement proceedings under Article 128 and 129 of the Labor Code, as amended. Nothing in this Order shall be construed to reduce or eliminate any existing wage rates, allowances and benefits of any form under existing laws, decrees, issuances, executive orders and/or under any contract or agreement between the workers and employers or employer practices or policies being enjoyed by the workers prior to the issuance of this Order. Where effects of the wage increases provided for by this Order result in the distortion of the wage structure within an establishment, the same shall be corrected in accordance with the procedure provided for under Art. 124 of the Labor Code as amended. The following formula may be used to correct the same. Pursuant to the provision of Section 12 of Republic Act No. 6727, as amended by Republic Act No. 8188, any person, corporation, trust, firm, partnership, association or entity which refuses or fails to pay the prescribed increase in the Order shall be punished by a fine not less than Twenty-Five Thousand Pesos (Php.25,000.00) nor more than One Hundred Thousand Pesos (Php.100,000.00) or imprisonment of not less than two (2) years nor more than four (4) years, or both such fine and imprisonment at the discretion of the court; Provided, that any person convicted under the Order shall not be entitled to the benefits provided under the Probation Law. The employer concerned shall be ordered to pay an amount equivalent to double the unpaid benefits owing to the employees; Provided, that payment of indemnity shall not absolve the employer from the criminal liability imposable under the aforementioned Act. If the violation is committed by a corporation, trust or firm, partnership, association or any other entity, the penalty of imprisonment shall be imposed upon the entity’s responsible officers, including but not limited to the president, vice-president, chief executive officer, general manager, managing director or partner. Any party aggrieved by the Wage Order may file a verified appeal with the Commission through the Board within ten (10) calendar days from the publication of this Order. The filing of the appeal does not operate to stay the Order unless the party appealing such Order shall file with the Commission an undertaking with a surety or sureties satisfactory to the Commission for payment of the corresponding increases for covered employees in the event the Order is affirmed. No preliminary or permanent injunction or temporary restraining order may be issued by any court, tribunal or other entity against any proceeding before the Commission or Board. The Order shall not be construed to prevent workers in particular firms or enterprises of industries from bargaining for higher wages and flexible working arrangements with their respective employers. Any person, company, corporation, partnership or any entity engaged in business shall submit a verified itemized listing of their labor component to the Board not later than January 31, 2015, and every year thereafter in accordance with the form prescribed by the Commission. All orders, issuances, rules and regulations on wages, or parts thereof inconsistent with the provisions of the Order and these Rules are hereby repealed, amended or modified accordingly. If any provision or part of the Order and these Rules, or the application thereof to any person or circumstance is held invalid or unconstitutional, the remainder of the Order and these Rules or the application of such provision or part thereof to other persons or circumstances shall not be affected thereby. These Implementing Rules and Regulations shall have the same date of effectivity as that of the Wage Order. Done this 19th day of May 2017, Baguio City, Philippines. Approved this 24th day of July, 2017, in the City of Manila, Philippines. Alighting or getting down jeepneys is an arduous hurdle for Persons With Disabilities (PWDs), Pregnant Women, Senior Citizens, and Children, on account of their predicament, age and height. The height from the ground to the first step of any regular jeepney are usually too high for these particular groups of people, and also for a great majority. A significant number of senior citizens and PWDs expressed and pointed out their dilemma. Resolution Numbered 078, series of 2012 requested the jeepney operators and drivers in the city of Baguio to install appropriate or additional step board for the safety and convenience of the senior citizens, the persons with disabilities (PWDs), and the pregnant women. “Section 21. Access to Public Transport. – The Department of Transportation and Communications (DOTC) and other concerned agencies shall develop a program to assist senior citizens to fully gain access in the use of public transport facilities. It is for this reason that an additional step must be added onto the regular stair of public utility jeepneys not only to eliminate the inconvenience posed against our less fortunate brothers and sisters, but also as an additional safety feature for all passengers who board jeepneys. Providing an additional step to lower the embarkation of passengers will ultimately eliminate this problem, and ease the difficulty to alight jeepneys for everyone. (a) Jeepney – the local term for a “jitney” which is hereby adopted for the purpose of this Ordinance, synonymous and interchangeable with the term Public Utility Jeepney or PUJ for short, duly registered and operating as a public utility transport for paying passengers bound for predestined locations. (b) Step Board – would mean the additional stair to be installed to the regular one-step stair of Public Utility Jeepneys, which is located at the farthest rear end of jeepneys where passengers board going inside the passenger cabin. (c) If, for engineering reasons, the preceding statement cannot be adhered to, the PUJ owner/operator shall do the necessary means so as to observe this Ordinance, and for as long as the additional step shall bear the minimum measurement standards as may be necessary, and to ensure the safety of all passengers. (e) PUJ owners/operators shall perform and observe all the means necessary to insure the safety of every passenger with regard to the additional step installed. Any incidental cost, incurred by a passenger such as damage to life, limb or property, due to poor installation and/or sub-standard materials used for the additional step, shall be the responsibility of the PUJ operator/owner. SECTION 5. Enforcing Agencies. The Traffic Division of the Baguio City Police Office, the Traffic Management Bureau, and all other Traffic Marshalls authorized by such agencies are directed to enforce this Ordinance and apprehend non-compliant jeepney operators. The same offices shall provide reports to the Sangguniang Panlungsod regarding compliance to this ordinance. SECTION 6. Penalty. Any jeepney operator who violates this ordinance shall pay the penalty of ONE THOUSAND PESOS (Php 1,000.00) and additional penalty of FIVE HUNDRED PESOS (Php 500.00) for every offense thereafter. SECTION 7. Separability Clause. If for any reason or reasons, any part of this ordinance shall be held unconstitutional or invalid, the other parts or provisions hereof which are not affected shall continue to be in full force and effect. SECTION 8. Repealing Clause. All existing ordinances or parts thereof which are inconsistent with any provision of this ordinance are hereby repealed or modified accordingly. SECTON 9. Effectivity Clause. This Ordinance shall take effect AFTER Sixty (60) Days from its approval to provide time for PUJ operators/owners to comply with its mandate. Whereas, Section 17 of Article II of the 1987 Constitution provides that the state shall give priority to education, science and technology, arts, culture, and sports to foster patriotism and nationalism, accelerate social progress, and promote total human liberation and development. Whereas, Department of Education issued DO 74, s. 2010 entitled: “Guidelines on Mainstreaming the Dropout Reduction Program (DORP) in the Public Secondary Schools”. SECTION 1. TITLE – This Ordinance shall be known as “AN ORDINANCE PROHIBITING TRUANCY IN BAGUIO CITY”. calls for immediate action to prevent serious bodily injury or loss of life. (c) LINGER OR STAY – means to loiter or remain, as well as to refuse to leave when requested to do so by a police officer, or the owner or other person in control of public place. This term also encompasses activities which maybe mobile, such as walking, driving, and riding about in a public place or business establishment. 4) A person at least eighteen (18) years of age and authorized by a parent or guardian to accompany a minor in a public place or to have the care or custody over him/her. (g) PUBLIC PLACE means a place located in Baguio City where the general public, or a substantial group of people, have access, including, but the limited to, streets, highways, sidewalks, parking lots, vacant lots, or any unsupervised place, parks, and the common areas in about churches, apartment buildings, office buildings, hospitals, schools, shops and places of entertainment such as movie theaters and similar places and business establishments. (Saturday) when used as make-up class period except when a weekday falls on a holiday. (a) It shall be unlawful for a student to loiter, linger or stay in a public place or business establishments during school hours. (b) It shall be unlawful for drop outs and out of – school youth to loiter, linger or stay in a public place or business establishments within One Hundred (100) meter radius from any school during school hours considering their influence to in-school students. (c) It shall be unlawful for a parent or guardian to knowingly permit, or by insufficient control allow, the student to loiter, linger or stay in any business establishment or place within the city during school hours. (e) Operators of business or amusement establishment who knowingly permit, or by insufficient control allow, the student to loiter, linger or stay in any business establishment or place within the city during school hours, it shall be governed by Ordinance Numbered 015 Series of 2000 entitled, REGULATING THE OPERATIONS OF AMUSEMENT CENTERS IN THE CITY OF BAGUIO. 8. Other stakeholders and NGOs to be identified by the Chairman of the Board. 1st OFFENSE -A student, drop outs and out of school youth found violating this Ordinance shall be brought to their residence or to the Barangay Council for the Protection of Children office (BCPC) to be released to the custody of their parents. The student would undergo a counseling session to re-orient on his/her responsibilities before being properly turned over to his/her parents/guardians or the concerned school authorities. 2nd OFFENSE & SUBSEQUENT OFFENSES – Join appropriate intervention programs by the City Social and Development Office. 1st OFFENSE – Attendance to parenting education seminar. for 16 hours at the discretion of the court. for 32 hours at the discretion of the court. 2nd OFFENSE – A fine of ₱1,000.00. SUBSEQUENT OFFENSES – A fine of ₱3,000.00 without prejudice to any possible administrative case. (d) Operators of business establishments, shall be governed by the penalties provided under Ordinance Numbered 015, series of 2000. SECTION 9. FUNDING. — An initial funding to defray the expenses necessary for or incidental to the implementation of this Ordinance in the amount of ₱100,000. 00 shall be sourced from the unobligated surplus of Special Educational Fund of the City Government of Baguio, and is hereby allocated through the Local School Board. e. Other expenses associated with the implementation and enforcement of this Ordinance. SECTION 10. SEPARABILITY CLAUSE – Any provisions or portion of his ordinance found to be violative of the Constitution or invalid shall not impair the other provisions or parts thereof, to be in force and effect. SECTION 11. REPEALING CLAUSE. – Ordinances, rules and regulations or parts thereof, which are inconsistent or in conflict with provisions of this ordinance are hereby repealed and/or modified accordingly. SECTION 12. EFFECTIVITY. – This Ordinance shall take in accordance with the provisions of the Local Government Code of 1991.